"You're like if Uber and the Foodbank had a baby"
While it's not hard to give food, it's not easy. We believe many more people will as we make it incredibly easy to do so. 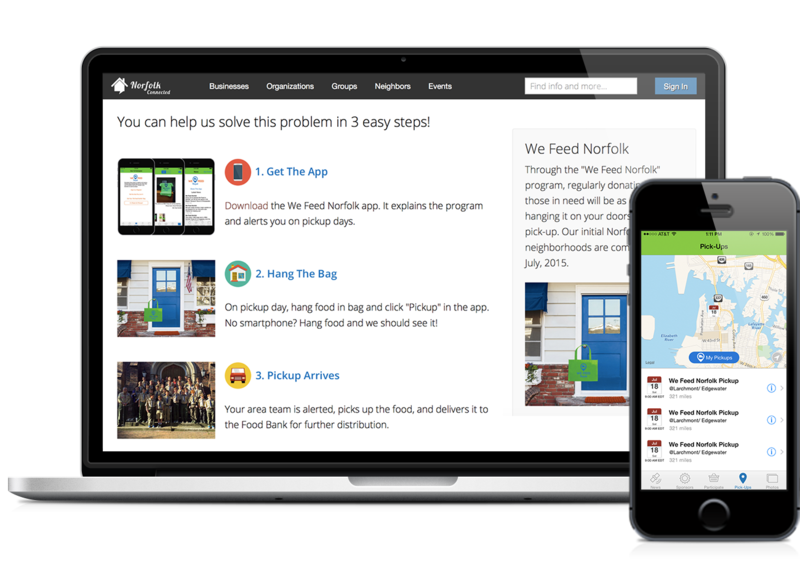 WeFeed.US accomplishes this by providing groups and teams the means to run their own visible, fun and effective food campaigns. 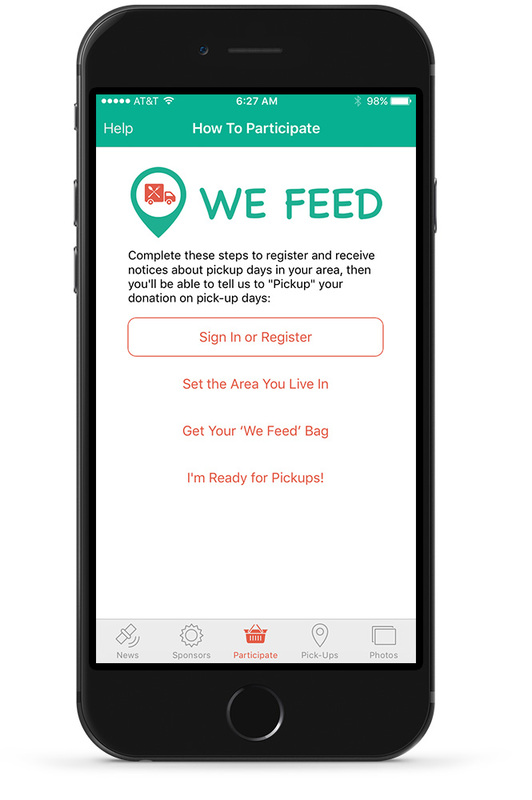 In terms of technology, think of us as Uber plus Linked In for collecting food. In 2013 49.1 million Americans lived in food insecure households which means they didn't know where their next meal would come from. This included 15.8 million children. In Virginia, the state in which we first launched WeFeed.US, a 12% food insecurity rate means almost 1 million of our neighbors go day to day not knowing where the next meal is coming from. In Norfolk, Virginia, the first city in which we launched, the rate approaches 90% in some neighborhoods. The bottom line: No one in the U.S. should go to bed hungry. We can do better. YOU can make a difference by forming a team to help feed the 1/6 of Americans who live in food insecure households. It's fun, easy, rewarding and makes an impact! YOU can start small, test the waters, but grow as large as your desires and ambitions take you. Entire cities and universities are now leveraging WeFeed to advance their missions! In addition to individuals creating neighborhood pickup teams, we're committed to a much larger vision. If you're an organization and like what we're doing, contact us! Have a question? Here is a list of frequently asked questions about the We Feed Program. If you don't find the answer you were looking for, please don't hesitate to contact us! Add yourself as a Partner, and we will contact you re: next steps! Choose when you want to run a food drive. Run the food drive, a Foodbank truck will pick-up your donations.